You are at:Home»January»January 21»January 21, 1997: Speaker of the House Newt Gingrich Reprimanded by Congress! January 21, 1997: Speaker of the House Newt Gingrich Reprimanded by Congress! On January 21, 1997, an historic event took place when the sitting Speaker of the US House of representatives, Newton Leroy “Newt” Gingrich of Georgia, was reprimanded by his peers by a vote of 395 to 28 for “ethics violations.” Gingrich was the first Speaker ever censured by the House, a shameful blot on the record of just one more shady politician! A phony and a hypocrite, it is hard to believe Newt Gingrich was once only 2 heartbeats away from being President! Born in Pennsylvania, Newt’s parents (mother age 16 and father age 19 named Newton MacPherson) split up within days of marriage, just long enough for Newt to be born “legitimate.” His mother married a soldier, with her and Newt taking the Gingrich name, and the family moved around to France and Germany, with Newt growing up in Pennsylvania as well as various Army bases. As a junior in high school the Gingrich family moved to Georgia, where Newt would acquire his persona as a Southerner (even though of course he is not). By 1993, Newt was again having another affair, and again dumped the older wife for a younger model, this time a House staffer 20 years younger than him. In 2000, his second marriage ended in divorce and he married for a third time. Gingrich, running on a pro-military hawkish platform was a draft dodger as a young man, seeking and being granted deferments and avoiding military service. Brought up Lutheran, he switched to Southern Baptist while in college and again switched to Roman Catholic in 2009. Oddly enough, this guy portrayed himself as a “family values” candidate, despite his serial adultery and as a “Christian” despite changing religions and committing egregious lapses of fidelity. He continues to espouse “Christian” ideals in his oratory, and even wrote a book titled Rediscovering God in America! Gingrich was elected to Congress from Georgia in 1979 and served until 1999. While a US Representative he attained the highest level of honor possible by being elected Speaker of the House and serving as such from 1995 to 1999. His platform as an ethical reformer fell flat in 1997 when he was accused of 84 violations of ethics, and was convicted by his peers of one count, that being running a tax exempt college course for political purposes, an action his peers found to be “intentional or reckless.” The self described ethical warrior was exposed for being just another political crook. Gingrich resigned in disgrace from the House in 1999, but reemerged on the national political scene in 2012 when he made a run for the Republican nomination for President. Despite some measures of success, Gingrich ultimately faded and dropped out of the race, his campaign owing over $4.6 million in debt. Gingrich defaulted on those debts, stiffing the businesses and consultants that had the lack of brains to do business with him. Gingrich then supported Donald Trump in the 2016 Presidential election, with Trump winning a stunning upset. Newt was rejected as Trump’s running mate, and later was not offered any cabinet post Gingrich was willing to accept, leaving the possibility of a government job for fomenting idiotic conspiracy theories instead. 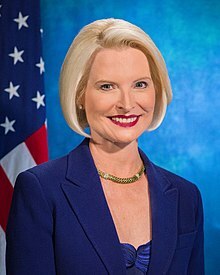 President Trump rewarded Newt’s loyalty by nominating Mrs. Gingrich #3 as the Ambassador to the Vatican in 2017 (apparently forgetting the part about Newt having an extra-marital affair with this devout Catholic woman while Newt was still married). Although we are probably done with Newt Gingrich as a political force in American politics, we are faced with a multitude of other hypocrites and phonies stepping up to take his place, and of course this means Democrats, Republicans, and every other party out there. What other blatant examples of political hypocrisy can you name? Feel free to share your thoughts on who and what drives you bonkers about phony politicians! Gingrich, Newt. Rediscovering God in America. Thomas Nelson Inc., 2009. Shirley, Craig. Citizen Newt: The Making of a Reagan Conservative. Thomas Nelson Inc., 2017. Next Article January 21, 2018: Stipe Miocic Defends HWT MMA Title, Greatest HWT of All Time!